For the month of June, I participated in the CAA Spot the Partner campaign where I was on the lookout for CAA partners online and in my local community. I also used my CAA membership card to shop, save money and earn CAA Dollars. We have been living in Pembroke, Ontario for about two weeks now and I’ve come across a few CAA partners in my hometown. The first one I noticed when we pulled off the highway to drive into town was Best Western. It’s good to know that Best Western is a CAA partner and I’ll know where to stay when we travel. CAA Members save 20% plus 10% bonus points with Best Western Rewards. When we need to fill up our vehicles, we head to Petro Canada in west-end Pembroke. Use your CAA membership card to earn 20% more Petro-Points. I didn’t realize that I could convert my Petro-Points for CAA Dollars where 1,000 Petro-Points = 1 CAA Dollar. Our new home in Pembroke hasn’t seen any cosmetic updates since the 1960’s. We’ve already begun the renovations! I discovered that Dulux Paints offers CAA Members a 25% discount off regular retail price on all Dulux Paints. If you are doing any painting this summer, check out their selection and save some money! I knew I wanted to go and eat at East Side Mario’s when we were back in Pembroke. I hadn’t been to their restaurant in years! I missed the all-you-can-eat breadsticks and salad. John and I headed there for lunch a couple weeks ago. We ordered calamari to start and I had a salad and veggie panini and John had a Philly Cheesesteak Sandwich. We were stuffed by the end of the meal, but it was so good! I showed our server my CAA membership card and she deducted 10% off our receipt. CAA Members save 10% off their purchase at participating East Side Mario’s locations. Our East Side Mario’s here in Pembroke just underwent a major renovation starting the day after our visit. They were closed for about a week and re-opened a few days ago. I want to go back soon with the kids for supper and get our fill of pasta, salad and breadsticks. Yum! Did you take advantage of the CAA eStore promotion this month? For the month of June, any purchases made at the CAA eStore will earn you double the CAA Dollars! My daughter and I were checking out Forever 21 where CAA Members can earn 4% back in CAA Dollars! Before you shop online, check first to see if the store is a CAA partner. If they are, then shop through the CAA eStore and earn some CAA Dollars. There’s many benefits to being a CAA Member. I appreciate the peace of mind of having the roadside assistance. A CAA membership would have been very handy to have last winter in Nova Scotia. John broke down on the side of the highway over an hour away from home. I had to go pick him in freezing rain and then we had to find a nearby tow truck that could come and get his truck. It was after that incident that I told him we need to think about getting a CAA membership. At least know I know who to call now if I have any vehicle issues while traveling again. Hindsight is 20/20 right? Then there are the discounts and rewards as another perk of being a CAA Member. I love saving money wherever I can. Every little bit adds up! My parents have been CAA Members for years and my dad says he enjoys saving money when he travels. 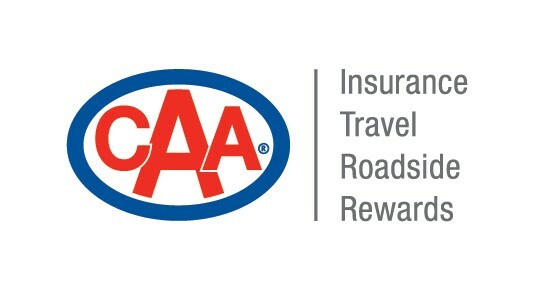 Join CAA today and start saving money and reap all the benefits of being a CAA Member! Good savings! It’s always a nice surprise when you can save and get what you want. Memberships can really bring added benefits as long as you remember to show your card. Happy saving. Thanks for the heads up about CAA discounts! I’m always looking for ways to save money but this one slipped right by me. Not any more! I don’t know what I’d do without my CAA and AAA cards! So many times I’ve been rescued, and efficiently and quickly. I get dollars by answering surveys but never really knew about the savings – I’ll have to look into it. Just like our AAA, can’t live without it! I love CAA rewards & benefits!! WTG!! It’s always good to look around and see how much you can save, Thank you for the review! I will have to check this out. Thank you for sharing this with us. Similar to AAA in the US. It is a great program. I didn’t realize I could save with my CAA card so thanks for the tips! I love the extra Petro Points you earn with CAA rewards, and there are also bonuses at Husky too. Makes filling up at the pump a little less painful.